Home > Puppy Blog > Miniature Horses for SalePosts tagged ""
Have you ever come across horses that are much smaller in size? Some might even be almost the same size as a donkey; these horses are called as miniature horses. What is so special about miniature horses? Even though their size is small, they are known to have high intelligence. A miniature horse can be trained to act as a seeing-eye dog as well and they will be as friendly and faithful to their owners as a regular pet. If you are interested in horses, yet do not fancy a racing one or a stallion, you may go for one of these miniature horses. Miniature horses may be small, but they are very popular amongst kids and the elderly. As these horses do not have a hot temperament, they are very well suited as a domestic animal. They are very cute and will make you feel comfortable at all times. Nevertheless, miniature horses need fresh air and regular exercise, or else their health will deteriorate and you might need to even visit a vet. Therefore, regular exercise and a stroll into the open along with a healthy diet are a must for a miniature horse. Just do not get caught up in false miniature for sale advertisements; always look for a reliable breeder or you can find sites like animaroohorses to help you out to locate miniature horses for sale. There are many people out there who get confused when distinguishing between ponies and miniature horses and they tend to ask what the difference between both the kinds is? Answer to this question lies in the body proportion of both the animals. Ponies are cute little types of horses; they are shorter than 14 hands and have a bulky structure. Their build is cobbier than miniature horses whereas the miniature horses are intended to be the miniature version of regular horses. 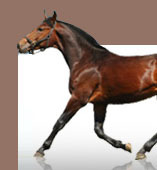 Thus they have a body proportion vary similar to that of regular horses. According to AMHR (American Miniature Horse Register) miniature horse means a perfectly balanced small horse that should look similar to a full-sized horse when photographed without any background to give a sense of size. 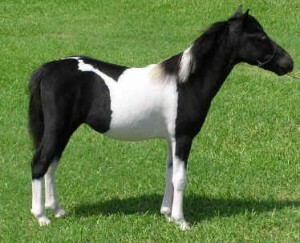 There are many online sellers who display ponies and title them as miniature horses for sale. These scamming stores are likely to steal the buyer’s money for a cheaper horse; therefore it is vital to know the difference before shopping for miniature horses. Many online animal stores also have a huge directory of Miniature horses to serve their client with the best they have. Those legitimate sites that offer more than one or two miniature horses in their directory are surely selling the right animals, considering the variety they have.